Turnkey, Outdoor Power Equipment business with excellent reputation. Serving, Loggers, Wildland fire fighters, Government agency's, Commercial and Residential customers in four counties for over 40 years. Tremendous opportunity for expansion into Equipment rental, Mobile repair and Fire camp services. 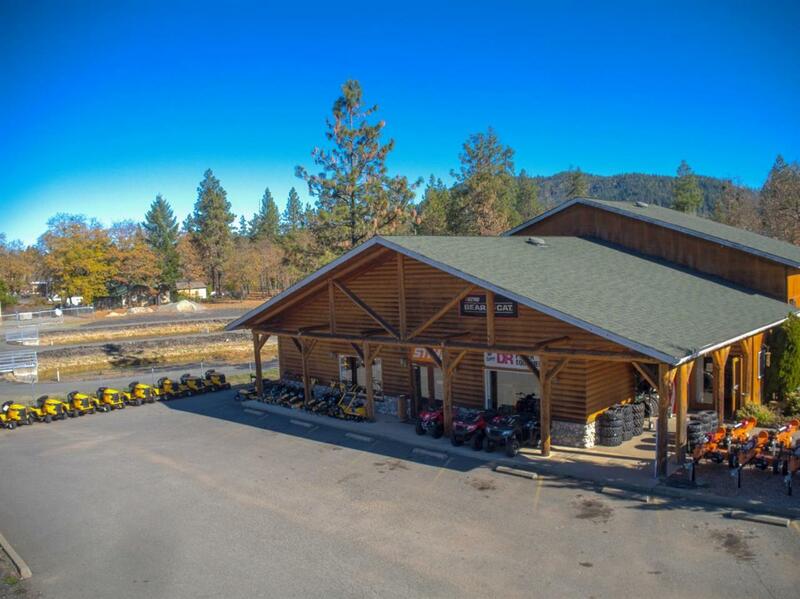 The 4000 sq ft, Award winning, log and river rock sided building is on .62 acres with highway frontage, fully fenced and alarmed with surveillance cameras inside and out. There is ample parking and semi truck access. The beautiful 2000 sq ft showroom includes brand specific displays, custom hickory showcase counters with an incorporated Chainsaw chain bench. The laundry/utility room includes a sink, new stack washer/dryer and a newer HVAC system. The service dept sports 4+ service bays with compressed air, 3 lifts, Tire machine, Grinding room, Parts room and an exterior parts washing station. Upstairs includes an office, bathroom, employee lounge and additional storage.